Ronnie Fay of Pavee Point said that “Traveller ethnicity is a fact” and they don’t need councils like Cork City to be voting on this. CORK CITY COUNCIL has become the first local authority to back Traveller ethnicity in the country. At a council meeting yesterday evening, a motion tabled by Sinn Fein councillor Mick Nugent was accepted to recognise the Traveller Community as an ethnic group. Although Ronnie Fay of Pavee Point Travellers’ Centre welcomed the motion and said it was “positive”, she told TheJournal.ie that “Traveller ethnicity is a fact” and they don’t need councils to be voting on this. Fay said the “majority of councils are held by settled people, and Travellers don’t need settled people’s permission or approval to be recognised”. In Travelling people’s eyes “they already qualify as an ethnic group,” added Fay. Instead of other councils around the country following suit, Fay is calling on the Minister for Justice Alan Shatter to recognise Travellers’ ethnicity as “the State has refused to give formal recognition”. However, Brigid Quilligan, director of the Irish Traveller Movement said she hoped the motion “will act an incentive to other councils to follow suit”. Travellers are already considered an ethnic group in Northern Ireland, Britain and the UN committee on the Elimination of Racial Discrimination believes that Travellers pass all the relevant criteria for ethnicity. Fine Gael councillor in Cork, Joe Kavanagh told TheJournal.ie he “no objection” to it but did not really feel very “strongly” on the issue either. He said he was “all in favour of inclusivity” and added that “these people should be recognised the same as everyone”. Cllr. 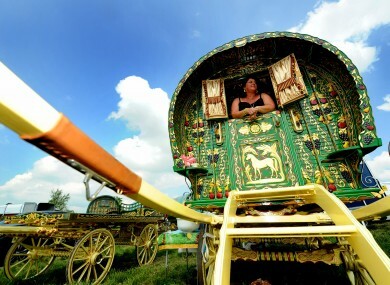 Nugent said a bill is now being prepared for Traveller Ethnicity Recognition to be put before the Dáil soon. There are around 40,000 Travellers in Ireland, 36,000 in the Republic and 4,000 in Northern Ireland. Email “Cork backs Traveller ethnicity but they don’t want ‘settled people’s approval’”. Feedback on “Cork backs Traveller ethnicity but they don’t want ‘settled people’s approval’”.